Just send us an email (maximilla02@msn.com) with your wish list and zip code (or shipping address). We'll package and weigh your order, calculate the cost and email you back with an itemized receipt. Voilà! $30 minimum (cost before shipping) for domestic orders. Orders over $50 get a free surprise from Whimsy! 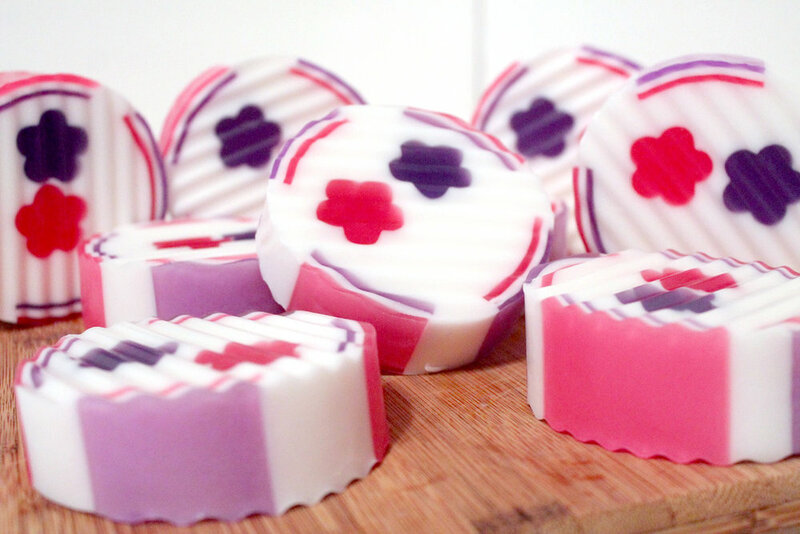 Whimsy is now offering specialty handcrafted soaps. Pictures show representative examples. Be kind, Whimsy is new at this and the soaps are hand cut, crooked and do not have a standardized size yet. We're also still playing around with different packaging ideas. So some of the wrapped bars are quite unprofessional looking. Yes, we can make custom orders. Most are made with a goatsmilk and glycerin base, some are made with a vegan-friendly, detergent-free coconut milk base. T-Shirt: "I Heart My... Chinchilla!" Designed by our own, Mandolin! Unisex sizes in white: Small, Medium, Large, X-tra Large. This brand of shirt fits kinda narrow and long, so if in doubt, order a size up. Show your support and spread the word with these 5"x3" bumper magnets!